Eight-Time Grammy nominated saxophonist Kirk Whalum has already had a whirlwind year with the recent release of the long-awaited third installment in his popular genre-bridging gospel jazz series, The Gospel According To Jazz: Chapter III (GATJ3). GATJ3 debuted at #4 on the Billboard Jazz Album chart and #11 on the Billboard Gospel Chart. After recently being named President & CEO of the Stax Museum of American Soul Music & Stax Music Academy, Whalum now caps off a stellar year with the release of Everything is Everything: The Music of Donny Hathaway on August 31st on Rendezvous Music, an imprint of Mack Avenue Records. To celebrate the release of his new CD, on Monday, August 2nd, Whalum is set to appear on The Tonight Show and will sit in with Rickey Minor and The Tonight Show Band. This is a reunion of sorts for Whalum and Minor who played together on the Whitney Houston ‘The Bodyguard’ World Tour. Everything Is Everything consummates Whalum’s chart-topping For You and The Babyface Songbook trilogy to complete a collection that brilliantly exhibits Kirk’s singular interpretive skills. Donny Hathaway would have been 65 years old on October 1, 2010. Although the passing of this visionary and multi-talented artist left a significant void, his pervasive influence left an indelible mark on popular music. There could be no better standard bearer for Hathaway’s work than tenor saxophonist Kirk Whalum, whose work has similarly crossed the boundaries between R&B, gospel and jazz with an emotional immediacy that is beyond compare. Highlights on Whalum’s Donny Hathaway tribute standards CD include “You Had To Know,” featuring a heartfelt performance by Donny’s daughter & neo-soul phenom Lalah Hathaway. Also, R&B crooner Musiq Soulchild gives a retro take on “We’re Still Friends.” This intricate and principled CD also features arrangements by Gil Goldstein and John Stoddart and collaborations from a virtual who’s who of contemporary jazz masters such as Rick Braun, Jeff Golub and Christian McBride. Helping to push the boundaries on this musical tribute celebration is pedal steel scorcher Robert Randolph. All of these dynamic artists come together with Whalum’s passionate tenor to tell the musical story of one of the most important figures in popular music. After notching hits and four platinum records in the 1980s with the R&B trio Levert, Grammy®-winning singer Gerald Levert went solo in 1991, topping the R&B charts with his first album, Private Line. The hits kept coming as the superstar's soulful baritone fueled a long run of beloved music that sadly ended in 2006 with Levert's unexpected death. Rhino Records pays tribute to Levert with a collection of his greatest work, including the previously unreleased "Can It Stay." The Best Of Gerald Levert will be released on August 31. "Can It Stay" is available for download now at all digital retailers. Spanning two decades, the 16-song set is the first collection to span Levert's entire extraordinary career and also features liner notes by Cornel West. Arranged chronologically, the album begins with the single version of the Grammy-nominated "Casanova," a #1 R&B/#5 Pop smash he recorded in 1987 with Levert. Three tracks come from Levert's 1991 solo debut Private Line, including the single version of the title track, "School Me," and the R&B #1 "Baby Hold On To Me," which features the singer teaming up with his father, Eddie Levert, the lead singer of The O'Jays. The father and son recorded together frequently over the years, including the poignant ballad "Already Missing You" (#7 R&B), which is featured here and taken from the duo's first album together, 1995's Father And Son. The Best Of Gerald Levert touches on Levert's work with singers Keith Sweat and Johnny Gill in the R&B supergroup LSG with "My Body" (#1 R&B/#4 Pop), from trio's Grammy-nominated, double-platinum debut, Levert-Sweat-Gill (1997). The collection concludes with two tracks from Levert's posthumous Grammy-winning 2007 album In My Songs, the title track and "DJ Don't," as well as the previously unreleased "Can It Stay." Singer Fayola is preparing for her debut album release on July 21 this month, which is a huge step in her career. She has been crafting the sound of this album very carefully to give an innovative perspective on relationships. Her goal is for this album’s message to strike a nerve to inspire, in order to reach far and wide to build upon her fan base. The album, entitled Love, Hate & Passion consists of 11 original powerfully messaged songs relating to relationships from a woman’s perspective. Styled with her unique and distinct vocal sound, she delivers a performance that gives you an impression of a friend who’s got your back. The musical undercurrent of this album has a touch of Jazz, a little Soul, a sprinkle of R&B and a dash of Pop. Fayola’s style has drawn inspirations from pioneering Neo-soul artists D’Angelo, Erykah Badu, Jill Scott, Bilal, in addition to, soul divas Anita Baker and Regina Belle among several others in helping to create in her, the unique fusion that she entitles, jazzy-neosoul. The album was recorded out of Queens, New York and produced by Joe Wize who has worked with artists such as Faith, Groove Theory, Tina Moore and Lorenzo. 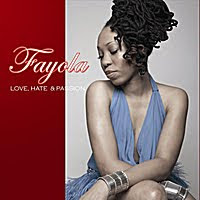 The album is available online now for digital downloads, and fans are encouraged to visit Fayola’s website (http://www.fay-o-la.com/), which provides you with everything you could want to know about the young vocalist. You can also sign up for the mailing list to receive news and information about upcoming gigs and new releases. Fans can also check out her MySpace.com/fayola page and can even join up to be her friend on Facebook.com/Fay Ola. 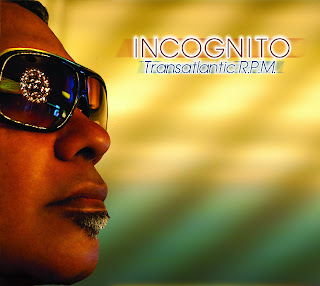 Fayola was born and raised in Trinidad, W.I..
INCOGNITO FEAT. CHAKA KHAN & MARIO BIONDI - TRANSATLANTIC R.P.M. Shanachie Entertainment is about to release probably the best album in years from pioneering and groundbreaking UK groove-masters Incognito. As the legendary band embarks on its third decade of creating mind blowing, hit-making classics, they have outdone themselves with their stellar new recording, Transatlantic R.P.M, to be released on July 27, 2010. Incognito is joined by an all-star lineup that includes the iconic Chaka Khan, R&B/jazz/soul diva and longtime Incognito vocalist Maysa, spoken word goddess Ursula Rucker, Motown legend Leon Ware and renowned Italian singer Mario Biondi, Incognito delivers what promises to be one of the musical highlights of the summer. Being a teenager in 1970’s London, you could not escape the music. It was all around you. Every pub had live music and there were several record shops on every main road. Basements and garages doubled up as rehearsal rooms for eclectic musicians and energetic teenagers getting their kicks playing Rock & Roll, Reggae, Ska, Folk, Jazz, Funk and Soul music, all preparing to take on the world! There was a buzz in every record store. People searching through the crates to catch up on the latest offerings from across the pond. I’d be looking for the names… Harvey Mason, Steve Gadd, Ralph McDonald… “Hey heard the new one from Rufus & Chaka Khan?” In another corner funky folks would be boogying down to B.T. Express and Eddie Russ beneath huge sets of headphones and exploding afros! Long haired students with patches on their jeans trawling through the Prog Rock section. That was the scene and I was hooked, line and sinker… those vinyls transported across the Atlantic had me buzzing like a junky looking for his next hit! Two time Grammy Award winner and founder of Smooth Jazz, musician Najee has donated his own saxophone to renown Jazz artist Reggie Hines. As soon as Najee landed in JFK recently, from his tour in Europe, he learned via text, about the demise of saxophonic player Reggie Hines’ missing horns. Mr. Hines’, who has previously performed with Najee, two saxophones came up missing after a recent gig in Atlanta. This sour note quickly turned into a melody when Najee called and offered Hines his very own saxophone for replacement. One final piece was short in this perfect score; the instrument had to be picked up in Orlando where Najee resides. Chountelle Bullock, a member of his marketing staff, was contacted by Hines’ manager Clifton Camp of MarketingCamp, LLC, and she flew to Orlando and back with sax…the final score! Thanks Najee. For those of you who don’t know about Reggie Hines, he was born to captivate the world with the multitude of talents he possesses. Instrumentalist, songwriter, producer, and composer; he is a multi-faceted talent playing guitar, piano, bass, EWI (Electronic Wind Instrument) and of course, the saxophone. Music is his mistress, a true lover of the art Salsa, Meringue, Jazz, and Funk. Writing for Gerald Alston (The Manhattans), Regina Belle; Hines musicology breached the music industry when he masterminded The Prime of My Life album for the late songstress, Phyllis Hyman. “I Can’t Take It Anymore” and “When You Get Right Down To It”, attained Grammy nominations for best R&B song of the year. Hines was honored with an ASCAP Award for his skilled musical composition. Nationally, Mr. Hines appeared on ‘The Regis and Kelly Show’, ‘The David Letterman Show’, ‘The Ellen DeGeneres Show’, ‘Tom Joyner’s Sky Show and Cruise’ and 'VH1 2010 Hip Hop Honors'. 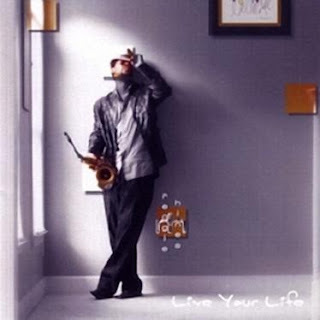 After touring the world in a multitude of music festivals, Hines released the 2009 chart topping CD, Live Your Life, the return to his musical roots, infusing multiple music genres with Jazz. With his recent return from the 2010 Harlem Nights Japan Tour, he continues to “live”. Reggie describes his styling as “life music” choosing to surpass traditional jazz boundaries. Aptly, he has named his CD Live Your Life. On July 29, 2010, MarketingCamp, LLC, will re-release Reggie Hines’ album debut entitled Live Your Life. Producer and engineer Jerod Jacobs of Charlotte, NC, co-mixed and co-mastered the CD with Hoffman. Curioso combines tunes that are inspired by other musicians’ work with tracks that were inspired by events in the artist’s life. Besides, “Hefti,” which channels the light, lyrical work of Neal Hefti, there’s “Pontified,” Hoffman’s take on the late ‘70s music of Jean-Luc Ponty; “Introspective,” smooth jazz reminiscent of David Benoit; and the Vince Guaraldi influence apparent on Curioso. For “Q,” Hoffman wanted to capture what he observed as the “calm strength” of a former piano student of his who was battling a brain tumor during the three years he worked with her. A friend who died suddenly inspired “Bender.” “I imagined a desolate night in NYC as a reflection of my sadness over his passing.” Hoffman said. Other tracks are more lighthearted, such as “Thumbs,” which evolved from a spontaneous rhythm Hoffman started playing on his desk one day, “literally with my thumbs.” “Dog Days,” which features “a soulful sax solo by Tim Gordon,” represents a winding down during the Dog Days of summer. And “G Min” is a modern jazz swing piece that offers up a John Sharp guitar solo. Hoffman is as well-known for his vocal performances as his instrumentals, but Curioso contains only one vocal piece, “Aila Leya.” He explains: “I was looking for syllables that fit the melody and sang the first thing that came to mind. I then went to a word meaning reference and found that both of these actually mean something! This one is reminiscent of the jazz-rock of the late ‘70s to early ‘80s.” When Hoffman circulated the initial release of the collection, Gary Dalkin, editor of Film Music on the Web, wrote in a review: “Hoffman brings a light, fluid grace to his eloquent improvisations, the tone largely optimistic though shot through with an enquiring spirit which adds an intriguing melodic quirk to the disc.” The artist is hoping for many more positive reviews now that the remixed and re-mastered Curioso is available. 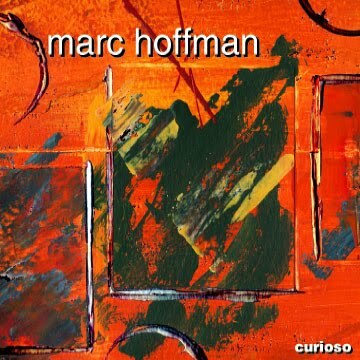 Tracks from the CD can be heard on Marc Hoffman’s website http://www.marchoffman.com/. Samples are available on Amazon.com. Decca Records has announced the release of the highly anticipated collaboration between two musical legends, Elton John and Leon Russell with The Union available October 19 in the U.S. (To be released October 25 in the U.K. on Mercury Records.) This album marks the first time these iconic artists have worked together since 1970. Produced by Oscar and multiple-Grammy winning producer T Bone Burnett, who took home numerous awards in 2009 for his production work on Raising Sand with Robert Plant and Alison Krause, The Union features songs written by John and his lifelong lyricist Bernie Taupin, as well as in combination with the extraordinary talents of Russell and Burnett. Recorded live in the studio with John and Russell on dueling pianos, the album features a variety of musical genres from R&B, soul, gospel, country, pop and rock. Icons Neil Young and Brian Wilson provide guest vocals on the 16-track record along with legendary R&B organist Booker T. Jones, steel guitarist Robert Randolph and a 10-piece gospel choir. Russell first met John in 1970 when he attended John's first ever U.S. show at the famous Troubadour in Los Angeles. The meeting heralded the beginning of a long friendship and a mutual appreciation between the two artists. "In the late '60s and early '70s, the one piano player and vocalist who influenced me more than anybody else was Leon Russell," John said. "He was my idol." The pair went on to tour together shortly thereafter at New York's Fillmore East and to this day have held such high admiration for each other's work. After years of being out of touch, John listened to Russell's music while on safari in Africa last summer and was inspired to reconnect with his idol. "Elton called to ask if I would do a duet album with him," Russell said. "I'm very happy that he chose me to do this." The monumental career of international singer/songwriter and performer Elton John has spanned more than three decades. He is the one of the top-selling solo artists of all time with 35 gold and 25 platinum albums and more than 250 million records sold worldwide. The National Academy of Recording Arts and Sciences has awarded John multiple Grammys, including the Grammy Legend Award. Russell has performed his gospel-infused southern boogie piano rock, blues and country music for over 50 years. This legendary and Grammy award winning musician and songwriter has topped music charts, led the famous Joe Cocker's 'Mad Dogs & Englishmen' tour, performed with George Harrison and Friends at the Concert for Bangladesh and in 2006 was awarded a lifetime achievement award by the Bare Bones International Film Festival. The Union is a unique collaboration of two of the most talented artists in the music business. Combining forces and fusing diverse talents, John and Russell along with Burnett have produced an extraordinary album. 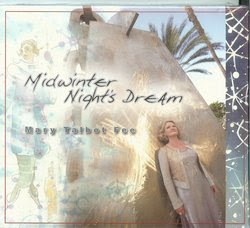 Jazz vocalist Mary Talbot Fee will be the featured artist debuting her CD, Midwinter Night’s Dream the week of June 18th on The Jazz Network Worldwide. The collection of jazz standards, international songs and contemporary compositions were produced by Rob & Amber Whitlock of Sketchin’ Records. In addition, they composed three new songs for the disc, including the title track, which was co-authored by Talbot Fee, who fluently sings in four languages on the CD (English, French, Italian and Portuguese). Midwinter Night’s Dream is the culmination of Talbot Fee’s years of jazz vocal study with the likes of Kevyn Lettau and other well-respected vocalists. “Winter’s dream enters my slumber, stills my thoughts, and encourages me to rest, renew and restore for the coming year’s journey,” reflected Talbot Fee about her inspiration for the project. A masterful ensemble backed her in the studio including keyboardist Rob Whitlock (Jazz Crusaders, Eddie Harris), bassist Trey Henry (Tierney Sutton), drummer Cliff Almond (Michele Camillo), guitarist Pat Kelley (George Benson), percussionist Luis Conte (James Taylor), violinist Charlie Bisharat (John Tesh) and flutist John Rekevics (Checkfield) along with a talented cast of singers that included Amber Whitlock (Max Bennett) and Kleber Jorge (Sergio Mendes). Standards like “If I Had You” and Henry Mancini & Johnny Mercer’s “Moment To Moment,” sultry sambas (“Nuages”), romantic duets (“Anema E Core”), cabaret tunes (“On An Evening In Roma”) and modern gems including John Lennon & Paul McCartney’s “Norwegian Wood,” Joni Mitchell’s “River,” and a pair from Stevie Wonder (“Knocks Me Off My Feet” and “Bird Of Beauty”). The three originals - “Winter Snow Ballet,” “Inverno Di Gielo” and the title track - unify and further the album’s motif – the gifts of winter - despite their varied stylings, moods and languages. "Mary is a wonderful story-teller in any language, she brings an authentic sound 'all her own,'" says Jaijai Jackson, creator of The Jazz Network Worldwide. Talbot Fee grew up in New England in a musical household. Her mother, Angela, for whom the album is dedicated, was an opera singer and a musical comedy actress who performed at Carnegie Hall. With these influences there is no wonder that the end result of this musical project is sophisticated, swoon-inducing vocals that take listeners on an enchanting artistic and theatrical musical journey. Claiming its status as one of the nation’s most vibrant summer jazz destinations, Newport Beach is host to two high-profile jazz events in summer 2010. In its 18th year, the Hyatt Regency Newport Beach Summer Jazz Series Through October 1st, 2010 (every Friday night and a special show on July 4th), a diverse collection of jazz musicians will entertain audiences at the 18th Annual Hyatt Regency Newport Beach Summer Jazz Series, which takes place at the resort’s intimate outdoor amphitheater. Top act’s include the Max Weinberg Big Band, David Sanborn, Bobby Caldwell Fourplay and Steve Tyrell. The Sunset Jazz at Newport Series will take place each Wednesday evening in summer from July 7th to August 25th, 2010 and will feature straight ahead jazz performed by some of the most popular artists from the long-running West Coast Jazz Party, also in Newport Beach. The producers of the very successful West Coast Jazz Party, together with the nation’s #1 jazz station- KJAZZ, have converted their 4 day jazz party, which for the last 15 years has taken place over Labor Day Weekend, into an 8 week series of Wednesday nights. The Rose Garden of the Newport Beach Marriott Hotel & Spa sets the stage for talent such as Houston Person, Ken Peplowski, Byron Stripling and Graham Dechter. Not to be confused with the annual Newport Jazz Festival in Newport, Rhode Island in August, these two high-level events extend the entire summer season and take place in Southern California’s Newport Beach, allowing visitors ample opportunity to catch top notch performers. Known for its picturesque views of the Pacific and one of the world’s largest small yacht harbors, Newport Beach is a chic seaside community located on Southern California’s Orange County coastline between Los Angeles and San Diego. The city is acclaimed for its beaches, mild year-round weather, boating/yachting community, sophisticated atmosphere, international film festival, three annual epicurean festivals and the oldest holiday boat parade in the nation. Newport Beach was named “One of the top ten resort towns in the U.S” by AOL Travel in 2008.